June 4, 2016, Donna Andrews and The Hen of the Baskervilles. March 18, 2016, Ray Betzner presented "Celebrating Vincent Starrett." March 14, 2014, Featured Speaker Alan Rettig presented "My Sherlockian Family Tree," a look at the intersections of his own family history and the world of Sherlock Holmes. Plus a diabolical anagram quiz from Dana Richards. December 6, 2013, A holiday celebration, with quizzes, prizes and fun. September 6, 2013 Dana Richards on "The Babes of The Lost World." 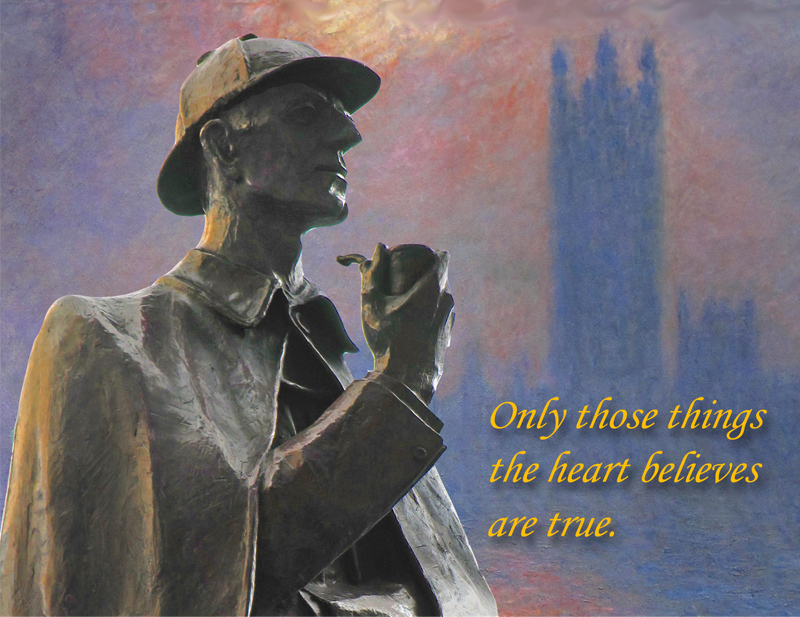 June 21, 2013, Guest speaker Lynn Whitall plus ad hoc news of Sherlockian goings-on. And, a diabolical quiz on The Boscombe Valley Mystery. September 14, 2012, Dan Stashower previewed Dangerous Work: The Story of an Arctic Adventure, Conan Doyle's diaries from his time aboard an Arctic whaler. Plus a quiz on "The Illustrious Client." June 5, 2012, Marilynne McKay presents a lively talk on "The Annoying Violet de Merville"
September 23, 2011, Daniel Stashower speaks on Conan Doyle's "lost" novel, The Narrative of John Smith. Plus, a diabolical quiz on "The Norwood Builder." June 10, 2011, Special guest Evelyn Herzog speaks about The Adventuresses of Sherlock Holmes; Alan Rettig reports on Diamond Jubilee celebration of the Sherlock Holmes Society of London. Plus, diabolical quiz on "The Noble Bachelor." March 11, 2011, Special guest Maureen Bottrell, forensic geologist for the FBI. December 10, 2010, The Red Circle launches its new website. . .Dana Richards remembers Martin Gardner. Inner Circle November 15, 2010 through December 31, 2011. Postings of continuing interest from the site's founding through year-end 2011. November -- December 2010, Friends in High Places (Graham Moore's The Sherlockian). . .BBC's "Sherlock" TV Series. Welcome to the Red Circle's website archive. Here you'll find past numbers of Black Peter's Logbook, our Red Circle Meeting Notes, the front-page features in The Inner Circle, along with other items of more than passing interest. We hope you'll find this slice of history interesting and informative. which is always available for your enjoyment and your research. The archive dates back to 1985.